XTREME WAVE RIDERS | Love Productions Inc.
Xtreme Wave Riders is a stunt show that can fit a variety of formats, in all types of water conditions. Each show is a choreographed routine specialized to fit a particular event. From back flips to barrel rolls, fast acrobatic synchronized Jet Ski and/or Wave Runner pro riders push their limits and dazzle spectators. 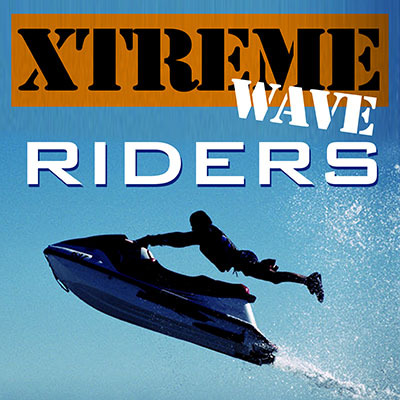 Xtreme Wave Riders have performed in conjunction with small and large festivals and events including XS Weekend With KISS, Poison, Kid Rock, Toby Keith, Miranda Lambert, Michelle Branch & The Wreckers, Eric Malone EME, APBA and APR Championship Boat Racing, RiverBender “Snowcross on Water” World Championship, Regattas, Road Rallys, World Freestyle Watercraft Alliance International Tour Championship, IJSBA Jet Sports World Finals, Six Flags theme park’s Batman Water Stunt Show and Sea World’s Baywatch Show.